Managing Cover Crops Profitably explores how and why cover crops work, and provides all the information needed to build cover crops into any farming operation. Along with detailed management information on the most commonly used species—including grasses, grains, brassicas and mustards, and legumes--Managing Cover Crops Profitably offers chapters on the role of cover crops in broader topics such as crop rotations, pests and conservation tillage. It also has appendices on seed suppliers and regional experts. Connection to no-till soybean fields and habitat for rare bird species found by researchers in Illinois. ... farmers and conservationists could work together to maximize the ecological role that no-till lands are already playing in the Midwest. Michael Ward, Professor of Natural Resources and Environmental Sciences. The study adds to the evidence that agricultural practices can have a broad influence on bird abundance and diversity. Jeffrey Brawn, Professor of Natural Resources and Environmental Sciences. Modern Farmer recently published a story connecting pesticide use to depression in farmers. The findings of a 20-year study on the topic are alarming--and provide another important reason to incorporate cover crops into your operation. Are cover crops the answer for soil protection and increased yield? Hear what some skeptics think of cover crops after seeing them applied in the field. Don't miss this informative, thought-provoking film. Connect to the Midwest Cover Crops Council here. 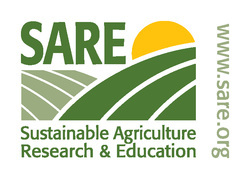 Sustainable Agriculture Research and Education (SARE) has a Learning Center page of resources for cover crop information, including a link to a YouTube series of videos entitled Cover Crop Innovators.